If you’re like most Small Business Owners growing their Business online, you’ve probably asked yourself the question “Is Pay Per Click Advertising really worth it?” You may have simply thought about creating PPC Ads or already have PPC Advertising in place, but you might be still questioning whether it’s something your business actually needs. For starters, don’t listen to blanket comments from people saying nonsense like “PPC is a waste of money.” If you do take their advice, the ramifications could be extremely harmful to the future success of your Business. PPC advertising does work. It works extremely well. But what stumps people, more often than not, is that it can be tricky to get right. It takes time and effort to lay the groundwork that’s needed to set up a rewarding Campaign, and spare time is something Small Business Owners don’t have a lot of! A sub-par Pay Per Click alone may not bring hordes of customers to your Busines, but paired with market research, a strong strategy and first-rate content, your PPC expenses will be well worth the investment. To get down to it, if your Small Business is online, you really should consider investing in Pay per Click. 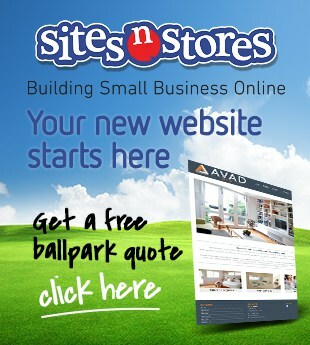 It is a fantastic way for your Business to generate high quality customer traffic and ultimately increase your sales. It allows you to get noticed, and not just by anyone, but by targeted customers who are most likely to purchase from you. PPC also allows you have to complete control of your Ads and, while it can appear challenging to be persuasive in fewer than 70 characters, it can be done. There are so many success stories of Small Businesses creating killer content and highly persuasive Ad copy that allows them to take control of a significant chunk of the market share. This is why PPC is such an effective marketing tool and why it’s considered one of the best forms of Online Advertising. Yes, PPC Ads can appear complicated and it can be daunting even entertaining the idea of utilising this highly effective Digital Marketing Strategy. There are quite a number of factors to consider in regards to the upfront costs, finding the right audience and the uncertain return on investments. But hey, tying your shoe laces seemed complicated at first right? It’s only natural to question new investments without clear insights of your future Return. But we’re here to tell you why it’s worth it and how with PPC, your Small Business will reap the rewards. So now you’re thinking about putting some PPC dollars behind your content. Good! But before you dive straight in, you really need to ask yourself some questions first. How much are you willing to pay for a new customer? How much can you afford to Pay Per click? What is the value of an average customer? And how much do you want to grow your business? When it comes to Digital Marketing, these are the first and perhaps the most important questions you should be asking. Once you have the answer to these questions, you’ll have some of the vital answers you need to establish an effective and strategic PPC Ad Campaign. Now to set your budget. There are a number of factors to consider when working out how much you can afford or willing to pay for a new customer, most of which depend upon where your Business lifecycle lies and what your long-term goals are. You don’t have to be spending hundreds of dollars per click (in fact, you really shouldn’t be spending this much at all! ), but you need to know your numbers. If you start with what your product and service is worth, how much you’re willing to pay per sale and how much per lead, you can determine what a click is worth to you. For example; let’s say you own a Printing Supplies Business, your average product worth is $100 and your Lead to Sale rate is 50%, you should be willing to fork out $50 per lead. Then if your Lead Conversation rate is about 10%, you’d know that you could afford up to $5 per click. Simple. This stage is equally as important before and after you begin your PPC Ad campaign. Keeping track of your budget and sales will ultimately be the answer to how successful your PPC Ads are. Not only will you be able to see the results of your Campaigns, but you will be able to optimise and tweak your Ads based on these results. Without tracking your PPC, you could fall into the trap of wasting money on targeting the wrong audience with the wrong content. It’s best to stay on top of your PPC results to ensure your Revenue is on its way up. With this in mind, don’t spend time debating whether or not your Small Business should be using PPC. The bottom line is, with the way Digital Marketing efforts are developing and the rate at which Online Businesses generate organic traffic, not investing in Pay Per Click advertising means you could be falling behind your competition. We know that few Small Business Owners can afford the time necessary to learn enough about PPC Ads and crafting the perfect Campaign, which is why we’re here to help! At Sites n Stores, our PPC experts can implement and manage your Pay Per Click to work within a Small Business-friendly budget. 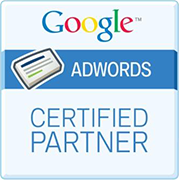 Enquire with us today to see how we can use PPC Advertising to effectively grow your business.